This is a reminder that TODAY, Judith Butler, the Maxine Elliott Professor of Comparative Literature at UC Berkeley, will be giving a lecture as part of The UC Davis Forums series. She will be speaking on the topic of "Scholars at Risk: What Are the Obligations of Universities?" The lecture will take place in Ballroom B of the Activities and Recreation Center (ARC) from 3 to 4:30 p.m., with a reception and light refreshments to follow. This event is free and open to the public. Please see the flyer below for more information, and feel free to contact us with any questions. See you all soon for what will be another insightful Forum! Author Jonathan EisenPosted on April 16, 2019 April 16, 2019 Categories Misc.Leave a comment on At @ucdavis today: Judith Butler – Scholars at Risk: What Are the Obligations of Universities? 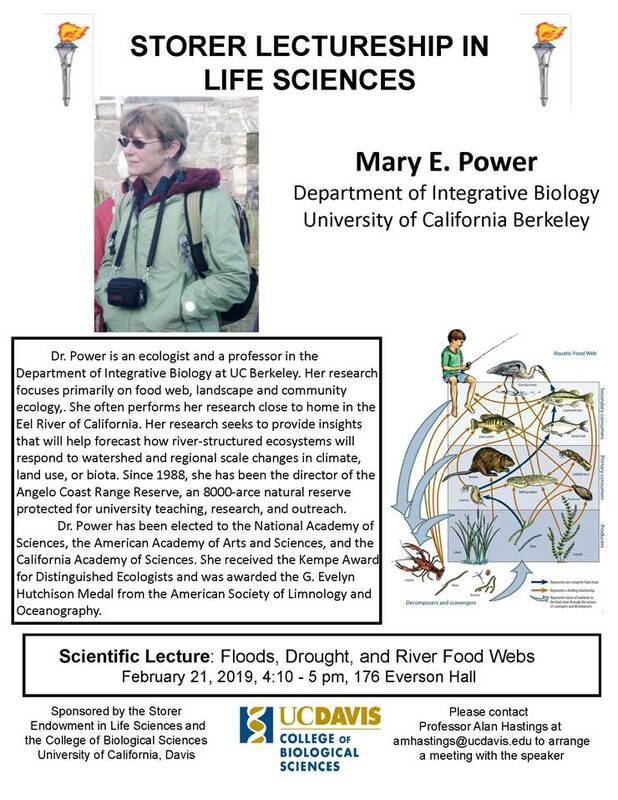 Dr. Power is an ecologist and a professor in the Department of Integrative Biology at UC Berkeley. Her research focuses primarily on food web, landscape and community ecology,. She often performs her research close to home in the Eel River of California. Her research seeks to provide insights that will help forecast how river-structured ecosystems will respond to watershed and regional scale changes in climate, land use, or biota. Since 1988, she has been the director of the Angelo Coast Range Reserve, an 8000-arce natural reserve protected for university teaching, research, and outreach. “Genomic Innovation within the Phylum Arthropoda” June 4th at 4:00 PM in GBSF 4202 (see attached flyer). Fringy is currently an Associate Professor at the Baylor College of Medicine, Human Genome Sequencing Center. The Department of Integrative Biology at UC Berkeley is generating an applicant pool of qualified temporary full or part-time lecturers to teach the General Biology laboratory class, BIO 1B (http://ib.berkeley.edu/courses/bio1b/), should the need arise. The pool will remain in place for one calendar year; those interested in remaining in the pool after the year must reapply. Appointments may be renewable based on need, funding, and performance. Positions range from 50% – 100%, depending on the number of sections taught. Vacancies may arise during Fall, Spring, or Summer. The laboratory class currently covers three major sections: Evolution, Ecology, and Organismal Diversity. Exercises include investigations into population genetics, phylogenetic relationships, macroevolution, predator/prey interactions, competition, bioindicators, and structure and function of organisms. BIO 1B is a gateway course to the major field of Integrative Biology that consists of three one-hour lectures and one four-hour combined discussion and lab each week. The class has 48 sections with a maximum of 18 students in each section. Lecturers will be required to lead one discussion and lab per week, create quizzes, grade assignments, attend a Friday instructional meeting, be familiar with lecture, proctor exams, hold office hours and complete other instructional duties as assigned. Senior lecturers mentor new hires and Graduate Student Instructors (GSIs). Abstract: As the challenges of protecting global food supply chains become more complex, the technical approaches being used to understand and guard against threats are becoming more sophisticated. Food safety testing is beginning to adopt new technologies such as next generation sequencing of DNA or RNA in their monitoring procedures and the cost of next generation sequencing is only decreasing with time. Together, this makes providing food safety solutions a very data-intensive problem. By surveilling the microbiome of food ingredients, we can develop methods and best practices that can be used to improve food testing standards and security of the food supply chain. As part of the Consortium for Sequencing the Food Supply Chain, we’ve utilized hundreds of terabytes of raw sequencing and derivative data to show that microbes will respond to perturbations in their environment and can be useful as an indicator of food safety hazards. By monitoring food microbiomes, we can better understand food safety hazards and quality issues that may arise in the supply chain. Bio: Dr. Beck is a research staff member in the Industrial and Applied Genomics group in the Accelerated Discovery Lab of IBM Research. She has been involved in food-related research for over a decade. She has published contributions in mechanistic studies of omega-3 fatty acids in tumorigenesis as well as composition of primate breast milks among other topics. Since joining IBM Research in 2015, she has been an essential member of the Consortium for Sequencing the Food Supply Chain and now serves as the IBM Technical Lead. 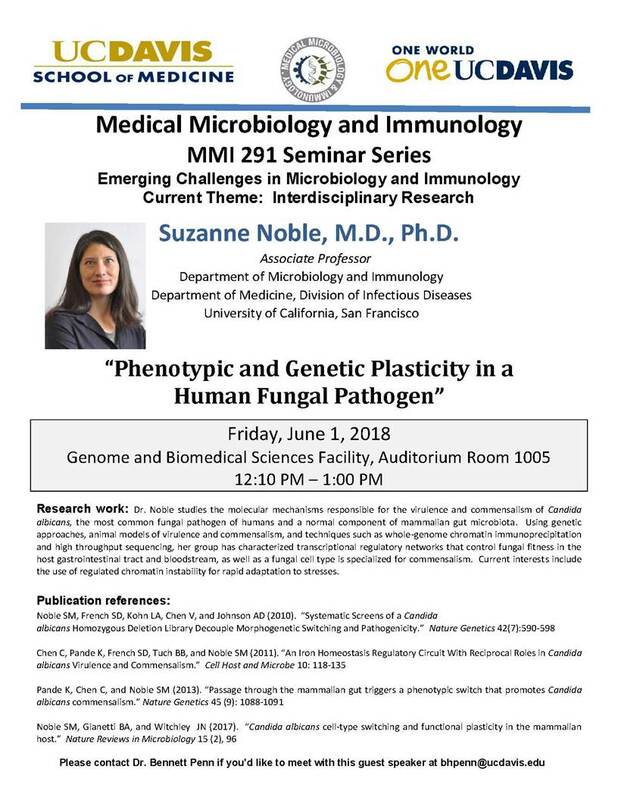 Her current research focuses on analyzing next generation sequencing data to gain insights about microbial ecology in food ingredients as well as confidently determining of the presence of various hazards such as pathogenic organisms, antimicrobial resistance genes, and food fraud. 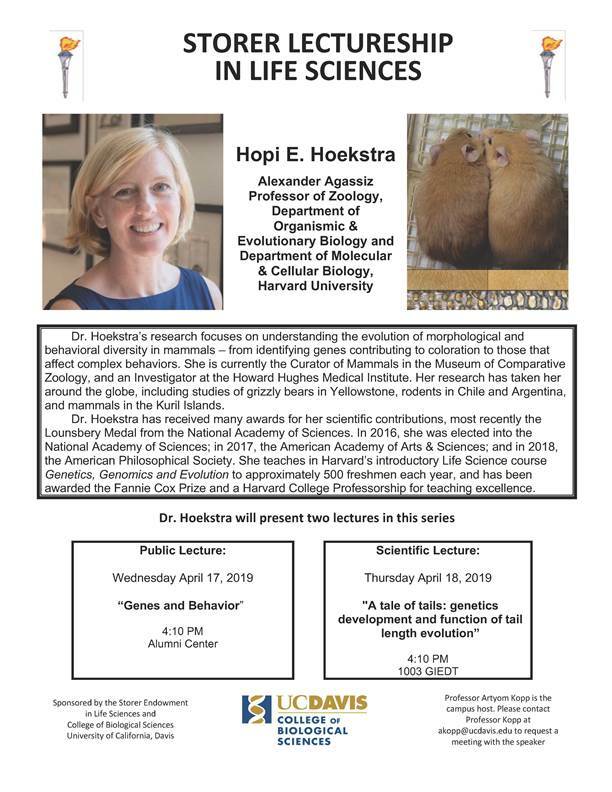 She received a Ph.D. in Biochemistry, Molecular, Cellular, and Developmental Biology with a Designated Emphasis in Biotechnology from the University of California, Davis and is a proud almuna and trainee of the Biotechnology Program.